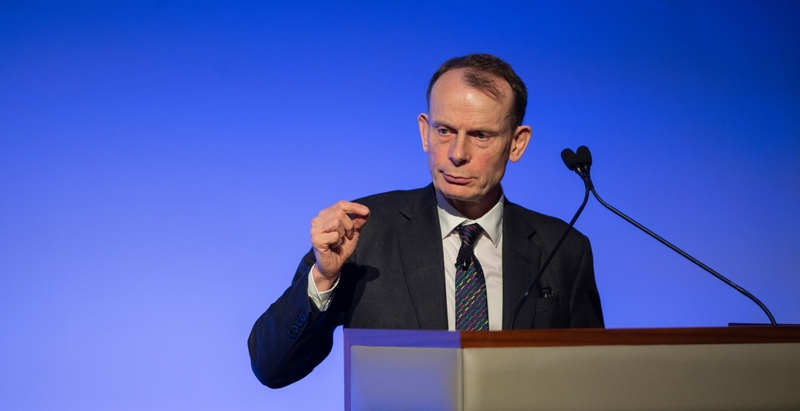 Andrew Marr opened the evening with an insightful summary of Britain’s current political position in Europe, where we may go next, and why. 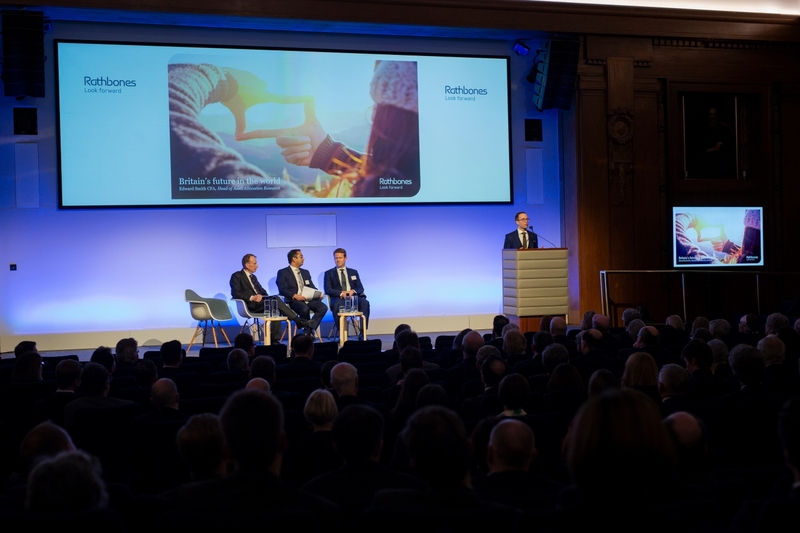 Edward Smith, Rathbones’ head of asset allocation research, took up the theme of Britain’s economic future post-Brexit, starting with where we are today and sharing a few causes for concern. It took the UK a lot longer than most economies to recover from the 2008 global financial crisis and, since that recovery began, growth in output per capita has been very weak. It has averaged just 1.2% per year - a serious drop compared with the 2.5% per year it averaged in the 25 years leading up to the financial crisis. Slowing output per capita isn’t unique to the UK, but the decimation in our standard of living since 2008 is. We are undergoing the longest slump in the standard of living for at least 150 years. Brexit makes our future uncertain and this has also led to a plateau in business investment in the UK, while it’s been accelerating across the rest of the world. The uncertainty is taking its toll. What about our outlook over the next 10 to 15 years? 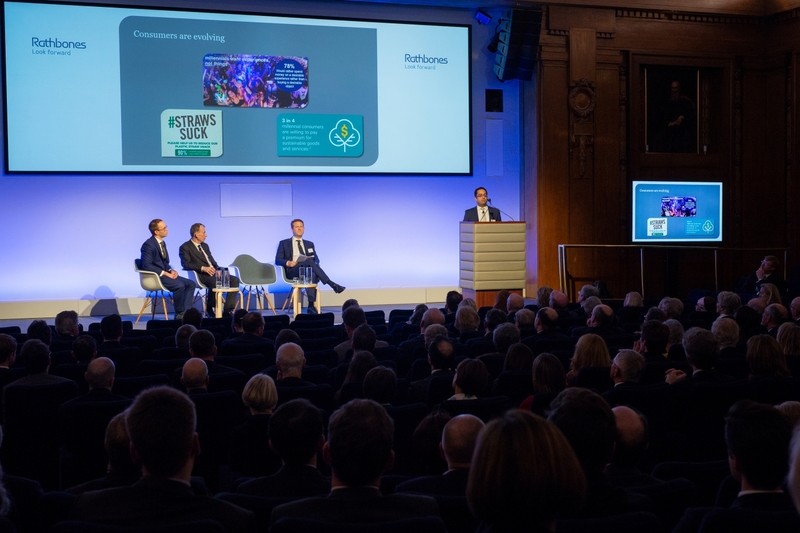 Edward noted Rathbones’ own forecast for the UK to grow at about 1.5% per year. That may sound okay, but it’s actually weak compared to our own history and to the rest of the world. There are a few reasons for this, demographics being one. More people are ageing out of the workforce than there are growing up into it, but that challenge is common in the western world. The problem unique to the UK is the marked slowdown in the rate at which foreign companies and governments are taking ownership stakes in British assets. That is worrying because modern economic growth relies on this kind of inward investment. Firms that have investment from overseas are almost twice as productive as firms without any such link. Trade also contributes to this slowdown. Being part of the European Union has been a great boost to UK trade, and we trade with Europe far more than the gravitational effects of simply living next door would imply. In reality, we may just be too far away from other trading partners to fully offset withdrawing from the EU. Is there a solution? Yes is our view – investment in research and development (R&D), across both public and private sectors. R&D is vital to kick starting new technologies and increasing growth, but unfortunately, we have fallen behind other major economies in the amount we spend on R&D relative to the size of the economy. On a positive note, the Conservative government has released a target to get R&D spending to a point that it would be nearly at US levels by 2027. It is our hope these plans continue regardless of which government takes us forward. An annual growth rate of 1.5% isn’t a great outlook, it’s one of relative economic diminishment. The good news is that the UK’s stock market is very much not the UK economy. Publicly listed UK companies as a whole only get about 30% of their revenues from the UK, with the vast majority of earnings sourced from overseas. This means that our stock market is exposed to faster-growing economies which should boost revenue growth for UK equities. There is also a lot of pessimism already priced into our exchange rate, so whatever happens with Brexit, it seems likely that sterling will appreciate over the long term. You even may start to see UK equities coming back in favour with global investors, regardless of the Brexit outcome. 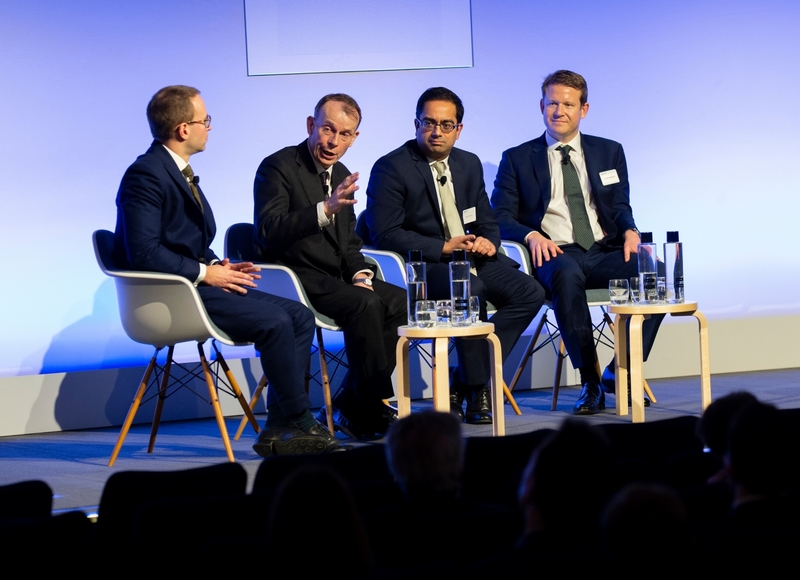 With this economic backdrop, it’s the role of Rathbones’ head of equity research Sanjiv Tumkur, to identify which UK equities offer the best opportunities. He discussed the future of British brands in this period of disruptive change. The opportunities offered by the internet and new technologies mean that some long-established business models are facing huge challenges. As investors, we want to understand which businesses are best positioned to deal with these. The UK has a history of creating iconic and enduring brands, and they’ve been extremely good performers for investors. In particular, consumer staples (everyday things you can’t do without) have outperformed the wider equity markets over the past 30 years and longer. But why? Firstly, successful brands are investing in their products to make sure that consumers are willing to pay a price premium. Secondly, the very nature of consumer staples means that demand remains strong even in economic downturns (this proved true in the global financial crisis). Thirdly, the pricing power they have gives them good profit margins and strong cashflows, which we investors value highly. However, strong historic performance doesn’t guarantee the same in the future, and these brands are facing major challenges. Technological advancement has removed barriers to entry for new brands. Startups can target new customers using social media more cheaply and accurately than ever before. The habits of the consumer are changing too. Young people can interact with their global peers, allowing them to galvanise opinions and harness the power of social media to change the world. Then, of course, you have the challenge of Brexit and its uncertainties. We could end up with increased friction when trading with Europe, our biggest trading partner. There is also the potential for supply-chain disruption and labour shortages. But, there are opportunities too. New trade deals could be struck which benefit different sectors. For example, almost half of the world’s demand for whisky comes from India, but only 1% of it is from Scotland. That’s down to punitive import tariffs. After Brexit, the UK could sign a bilateral trade deal with India to remove that barrier and boost exports of Scotch whisky massively. We also have the opportunity to make more of the ‘Made in Britain’ label, which was prevalent back in the 1980s – capitalising on Britain’s reputation, so surveys tell us, for British ‘quirkiness’ and ‘style’. Some of the UK’s brands are truly global in terms of where they make their money and the UK is a very small market for them. These brands include Unilever, and we heard from Chris Barron, Unilever’s vice president of personal care, discussing how this multinational company is adapting to the challenges of the evolving consumer landscape. As an example, Unilever is making large-scale efforts to move toward recycled and recyclable materials in its packaging. This should appeal to millennials, who want to consume in a more sustainable way. And if corporates don’t keep up, they will find their profits suffer. The incumbent brands do have a competitive advantage. They have economies of scale and great distribution networks. Their brand recognition has been built up through decades of TV advertising and their reputations allow them to attract and retain talent. They have much deeper pockets when it comes to R&D, allowing them to innovate and adapt. Their strong cashflows can also open up opportunities to partner with, or even buy a challenger brand if they want. The lively Q&A that followed showed just how relevant this discussion was for the audience, who asked some penetrating questions about the impact of e-commerce on the high street, the accuracy of government measures of productivity and GDP. Not all of today’s companies will prosper, but meticulous research and responsible stewardship will help us to identify the winners and avoid the losers.